In the course of walks through the English countryside, one sometimes skirts round the walls of admirable country houses and private estates. "The special relationship between oil painting and property did play a certain role even in the development of landscape painting. 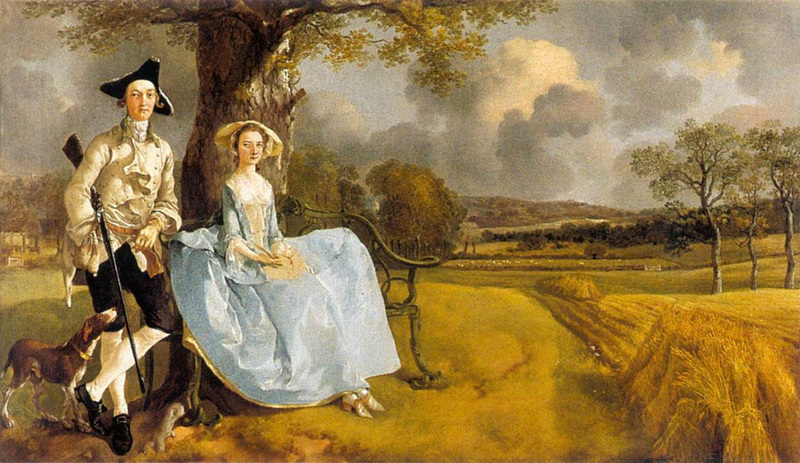 Consider the well-known example of Gainsborough's Mr and Mrs Andrews". "Why did Mr and Mrs Andrews commission a portrait of themselves with a recognizable landscape of their own land as background" asks John Berger, "They are not a couple in Nature as Rousseau imagined nature. They are landowners and their proprietary attitude towards what surrounds them is visible in their stance and their expressions". Berger reminds us that "the sentence of poaching at that time was deportation. If a man stole a potato he risked a public whipping ordered by the magistrate who would be a landowner." (Ann Bermingham also discusses this painting in "Landscape and Ideology", as do Rose-Marie and Rainer Hagen in "What Great Paintings Say, From the Bayeux Tapestry to Diego Rivera- Volume II"). Nowadays we shouldn't complain. 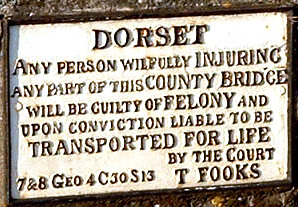 There are still plenty of footpaths and rights of way that enable us to enjoy the countryside- and even deportation, or rather transportation, to Australia would not constitute such a terrible punishment. There might even be quite a queue of people volunteering to become Tolpuddle Martyrs. Some reckless individuals might even be tempted to injure or deface a bridge. It's taken from Geoffrey Moorhouse's book "India Britannica" (Harvill Press, 1983; Paladin Books, 1984). Moorhouse comments: "European officer under a tree with his servant, gouache by a Bengali artist 1775. It's a deferential view of the British, who had lately become rulers of Bengal." 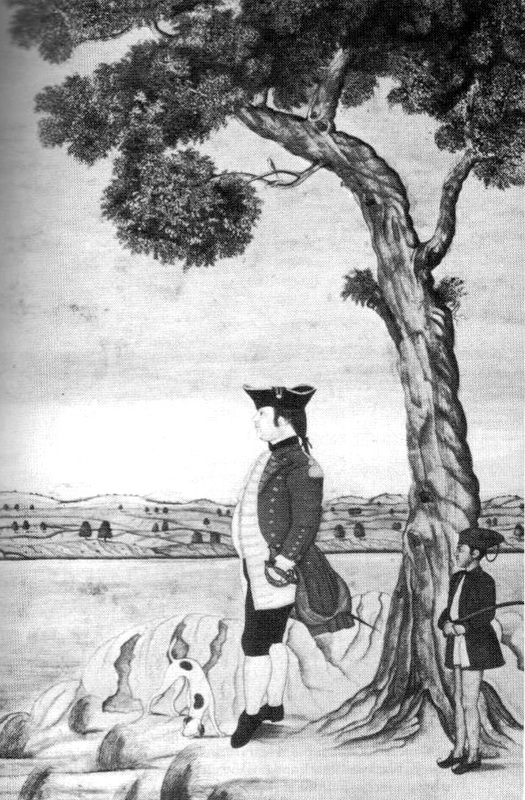 Moorhouse asks us to note the depiction and relative size of the Indian servant. Why did Gainsborough leave the painting uncompleted, in the area on Mrs Andrews' lap? Was it intended to show a pheasant or other game-bird that Mr Andrews had just shot, or rather, as is suggested in the National Gallery, a baby that would complete the painting in due course? Or was Gainsborough simply too lazy to finish his masterpiece? The French Working Week (35 Hours) - and BB! Amazing Grace, How Sweet the Sound (for Alex). The first Rock 'n' Roll records?